South Korea was the first country I have visited and my travel was unforgettable. Etude House together with Air Asia is holding a contest for all you, princesses for chance to win a trip for two to Korea because every Princess deserves to go places! 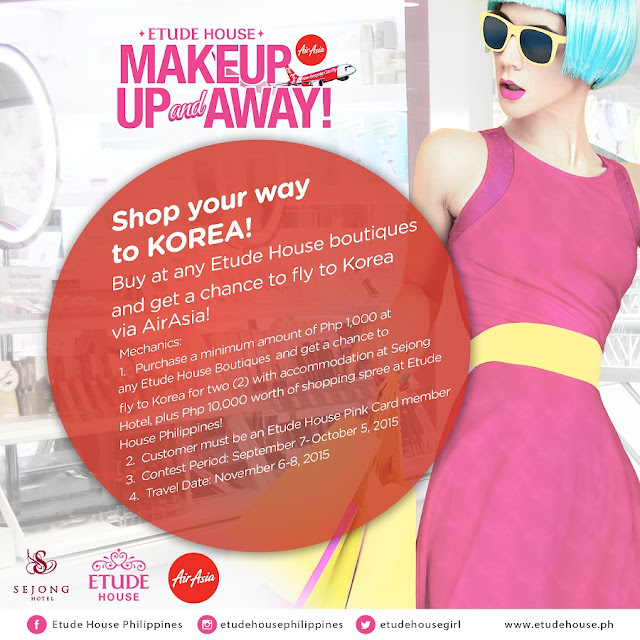 Shop your way to Korea with Etude House and AirAsia Philippines! Take a trip to any Etude House stand-alone boutique nationwide and shop for your favorite items to win a trip for two (2) to Korea with free hotel accommodation and a makeup shopping spree worth 10,000 pesos! Bongga!!! I really want to go back to Korea. I wanted to join this contest but I thought of my wedding so pass muna. 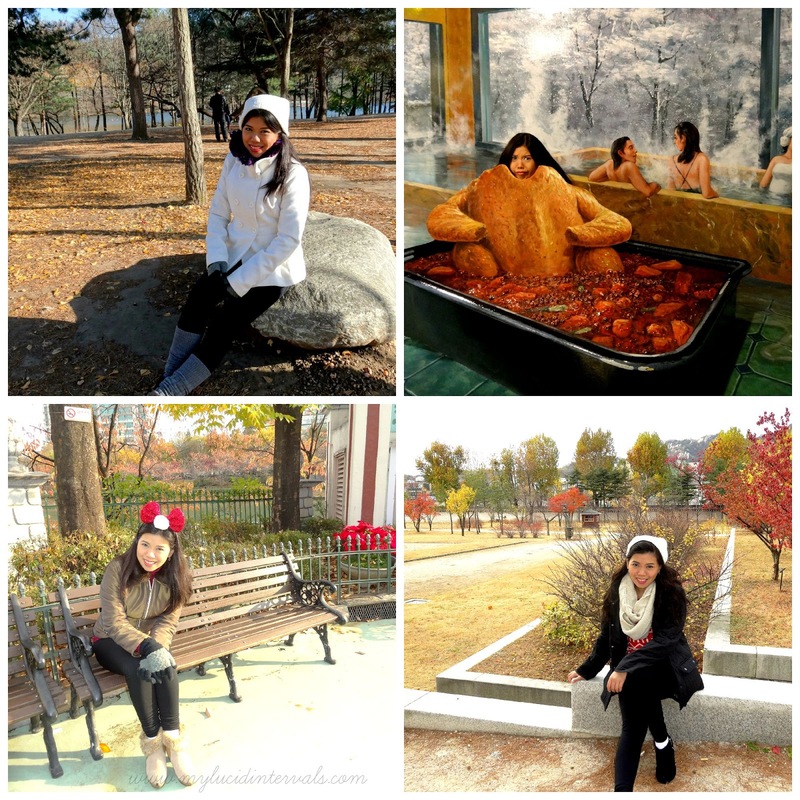 Look are my photos on how I enjoyed Korea. Lols at the second photo. That was one of my favorite part of our Korea Trip, the Trick Eye Museum. This September, Etude House Philippines, in collaboration with Sejong Hotel and AirAsia Philippines, is giving away two round-trip tickets to Korea and a makeup shopping spree worth 10,000 pesos to TEN (10) lucky winners of the Makeup Up and Away promotion. Twenty (20) participants will also get 2,000 pesos worth of shopping spree as a consolation prize. The promotion runs from September 8 until October 5, 2015. Pink card members can easily participate in this contest by following these simple steps:After shopping, look for the invoice number and the unique raffle code on the receipt. Go to www.etudehouse.ph and log in to your profile. Check your profile and make sure to update ALL details if necessary. Provide complete contact information to qualify for the promo. Incomplete profile information makes the entry VOID. Go to the Makeup Up and Away tab. Key in and submit your passport number and expiration date. Key in and submit the invoice number and unique raffle code found in the receipt. AirAsia Philippines will give away at total of twenty (20) round-trip tickets to Incheon to the ten winners and their companions. The prize covers only the base fare. All other charges will be shouldered by the winners. Visa application shall be processed by the winners. Hotel Accommodation - Hotel accommodation from November 6-8, 2015 will be provided by Sejong Hotel. The hotel will provide the winners twin rooms during the whole stay. Sejong Hotel is about an hour away from Incheon Airport and is strategically located in Myeong-Dong, Korea’s shopping capital. You still got a few more days to join this contest! P.S. Regular blogging will resume asap! Busy mode lang ang lola niyo!